If you are sick of conventional hotels and looking for something different and perhaps economical stay options on your next holiday in Rajasthan, here are some heritage hotels in Rajasthan that you should consider. Heritage hotels in Rajasthan offer not only clean and comfortable accommodation but also provide a wonderful opportunity to peek into the regal way of living of Rajastan royalty. One of the advantages of staying in a heritage hotel is their location. Most heritage hotels in Rajasthan are palatial mansions of Rajasthan royalty that have been converted into heritage hotels. Run by the capable saas-bahu pair – Mandvi and Veena, this homestay in Jaipur exudes warmth and comfort. Dera Rawatsar is located in the heart of the city and historical monuments, heritage walled city, shopping areas – are all easily accessible from here. 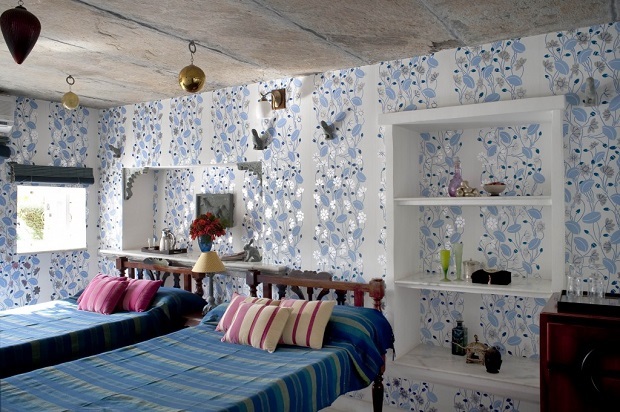 It is a family boutique hotel that beautifully blends traditional Indian hospitality & Indian modernism. Sukhdham means abode of bliss and that’s what you may experience at this heritage homestay in Kota. Sukhdham offers plenty of open spaces and you may have to compete with peacocks for a spot on the wide verandahs and garden. 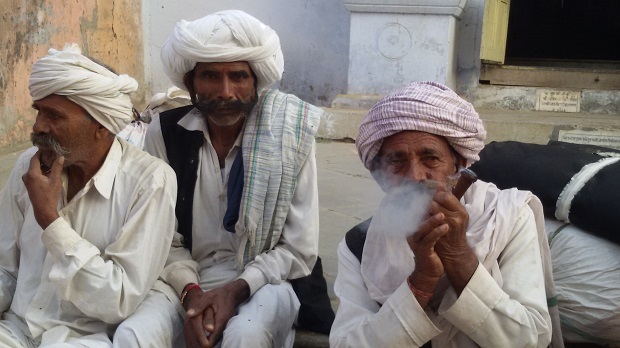 This heritage homestay offers legendary Rajput hospitality with modern facilities. Once a fort, Rawla Jojawar has now been converted into a heritage hotel. Located in Jojawar village, this heritage hotel is located 60 km from Ranakpur and 150 km from Jodhpur. This is a lovely place to stay away from the hustle bustle of big cities. It offers a host of activities, which include jeep safari, horse rides, train safari and town walk. This heritage hotel is run by the royal family of Jojawar. Located outside the old city of Jodhpur, Devi Bhawan appeals to those looking for a classic holiday experience in the lap of nature away from the noise of a big city. Devi Bhawan offers its guests old world elegance, with the modern comforts of a classic heritage hotel and the essence of being a guest of the family. A member of design hotel, RAAS’s architecture marks a distinct change from the curvy cupolas and butter yellows of the Rajput style. While the stark red stone walls and minimalist structures lent the place and almost industrial feel, the hotel nevertheless dates back to the 18th century and is located in the Old City of Jodhpur, among the famous blue Brahmin houses. Chhatra Sagar is a beautiful dam built on a once-seasonal spring by Thakur Chhatra Sagar of Nimaj to harvest rainwater and sustain farming in the dry region of Marwar. Today a line of sublime tents perches upon the dam facing east towards a clean horizon. This may not technically fit into the definition of a heritage hotel but then who cares as long as one gets a feel of Royal Rajasthan. The idea behind this accommodation is to recreate the feel of hunting parties camping in the countryside where the main event was the landscape. Samode is an hour’s drive from Jaipur. Today it is home to a few craftsmen. It was home to the Prime Minister to King Sawai Mansingh II. His descendants, brothers Yaduvendra and Raghuvendra have restored the property as well as their home in the city and transformed them into one of the most coveted hotels in the state. Not to be confused with the better-known Oberoi Udaivilas in Udaipur, this Udai Bilas in Dungarpur is one of Rajasthan’s youngest palaces. It is located in Dungarpur, a place almost equidistant from Ahmedabad and Udaipur. Shahpura Bagh is a stately manor home set among 45 acres of lakes and farmland. Shahpura Bagh is a change from the grand and sometimes slightly overwhelming elegance of Rajasthan’s palace hotels and havelis. It is more Art Deco than Rajasthani, with large, airy rooms warmed by family memorabilia. Located just inside the gates of the crumbly, gold-coloured Old City of Jaisalmer, Nachana Haveli is a little oasis. The haveli dates back to the 18th century. The haveli rooms offer unhindered views of the Jaisalmer Fort. Not too many hotels in Rajasthan are as dramatically located as Rawla Narlai. This white 17th- century villa is pretty enough, framed by raucously growing purple and pink bougainvillaea. 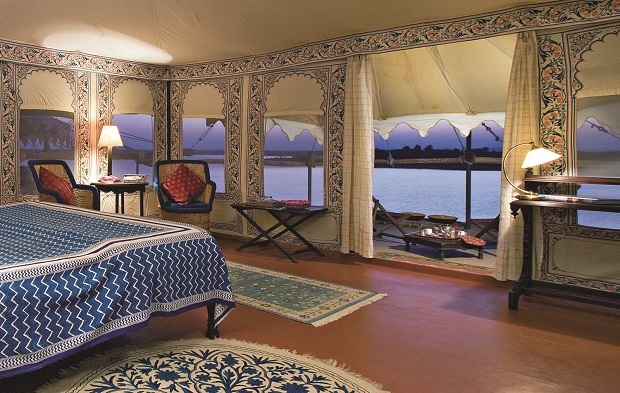 This is a place for a comfortable holiday to get a feel of rustic Rajasthan. Take bullock cart ride through the village for that rustic feel.